I know what you mean. Even in the US, I had to find and buy a Pinoy walis for myself. I got one that was made in Baguio. I just learned that you have to trim the edges if it’s uneven. How much was it there? The Exceptional Walis was P40! So cheap! I had to resist buying all because the others with us also wanted to buy! Then on the way down, the husband agreed to stop by a roadside stall so I could buy the ones with the fully woven handles — do you know those? That was P140 each. I think regular price if you buy from the side of the road is around P100, depends on how thick it is. The ones that are just attached to a stick are cheaper, I think. The Filipino store here sells the ones made in Baguio for $5.00 with the handles made of twigs tied together, Walis tambo style, I think. What you got was a bargain. Please publish more articles about your funny experiences, I admire your art work and sense of humor. This cartoon format is great and my family loves your articles too. Thanks a lot Arlene! Thanks for sharing my articles with your family. It’s nice to know I have some readers!!! Sylvs—I have a walis here too! My cleaning lady deosn’t really use it though but I do. 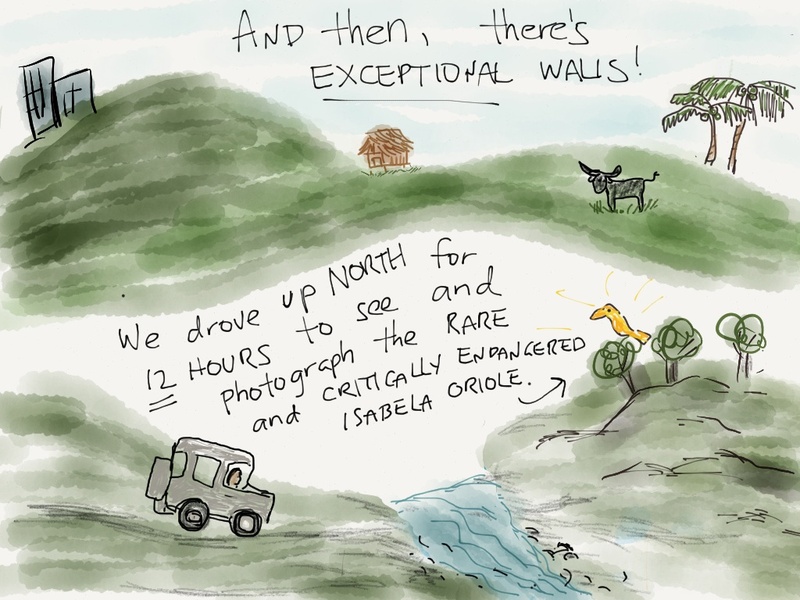 I really enjoy your blog, but particularly the illustrated entries. Sylvia, I really enjoyed viewing your website, especially your photos of those amazing Philippine birds. I hope you don’t mind if I share it with another bird watcher. 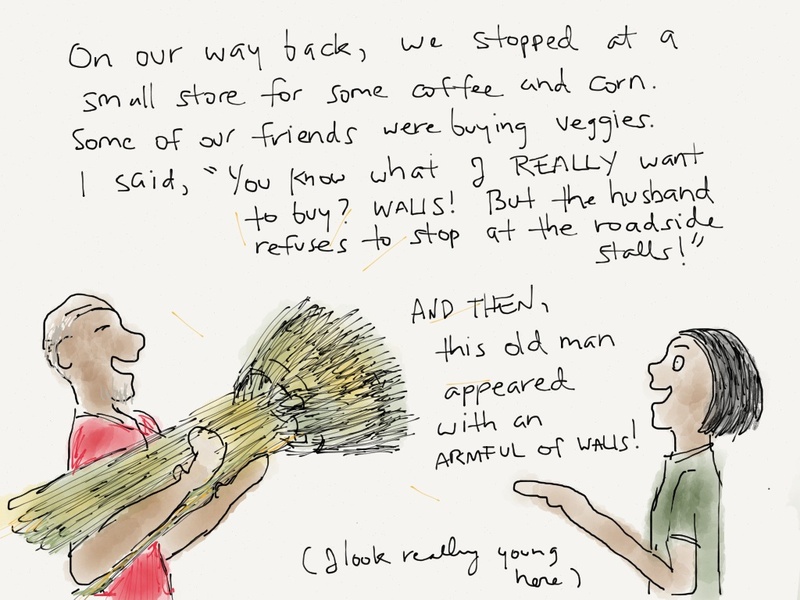 And the illustration of the walis story is so funny!! I love it! 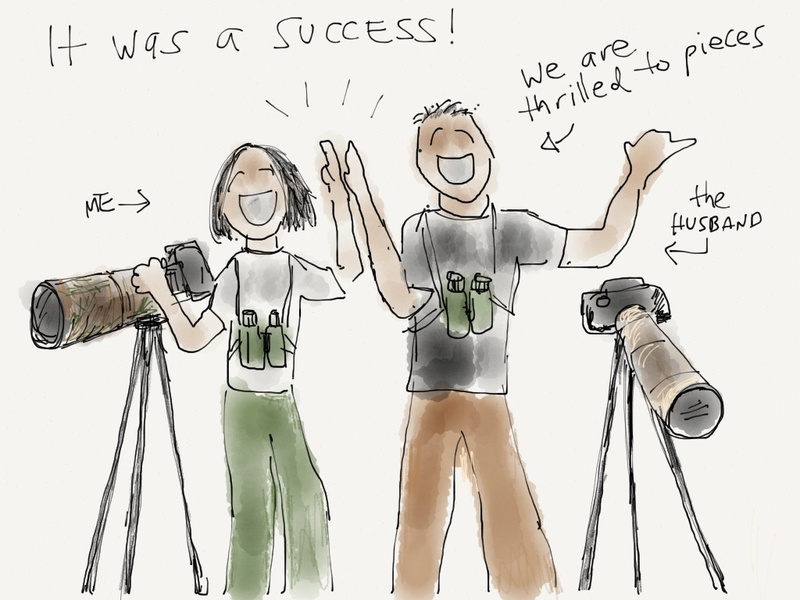 Yes, please share my website with other birders. It’s wonderful to hear that there are others who appreciate and are interested in our Philippine birds. 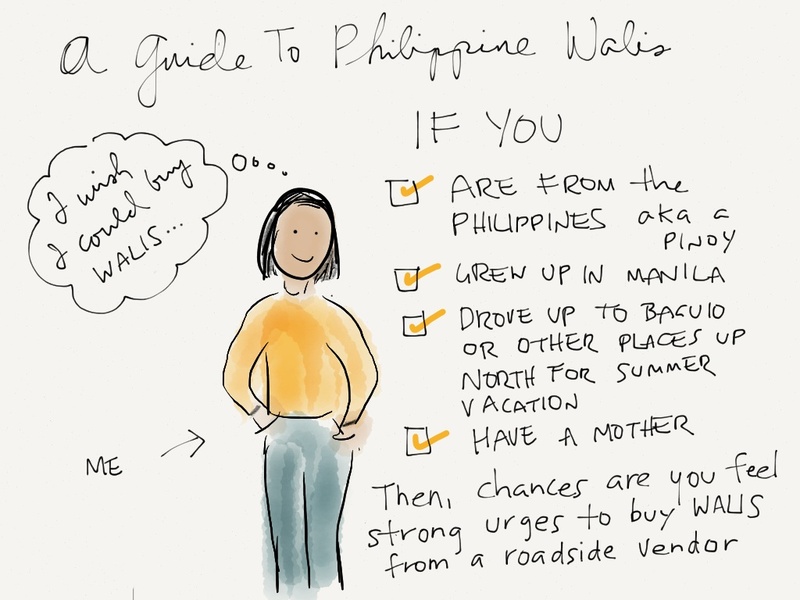 Hi Sylvia… sweeping with Philippine walis has been a routine since we got to the US (I bring 2 each time). I would not trade it for a vacuum cleaner (even the hand held portable ones). It is like therapy for me. After dinner I avoid sitting down, so I sweep instead for 10 minutes around high traffic areas that are not carpeted. I have brought a couple of walis that shed, but that’s ok, I still love to see those grass mixed with the particles on the floor. My brother in law (American) teased me with my walis (it was automatic for me to sweep the floor after lunch and dinner), and sometimes he would see that I have the walis shedding I missed to catch in the dustpan… I have started working for 2 families as a mother’s helper (1 with 6 kids aged 2-10 home schooled by the Mom, and the other mom has 3 kids — age 5, 2 and a month old baby). I just had to bring my own walis — they had those stiff brooms with plastic bristles and it was taking me so long to sweep all the kalat on the floor. I would bring the broom each time I came to work, I must look like a cleaning lady! So I decided to leave 1 broom each in their houses. In the Filipino store, the Baguio walis costs $5.25! I should get more next time…. the brooms from Nueva Vizcaya that I got from a weekend market looks great — nicely braided handles! Hi Elvira! Thanks for sharing that. I love hearing all these stories about how much people love their walis. I never gave it much thought until I started doing the sweeping myself at the farm. 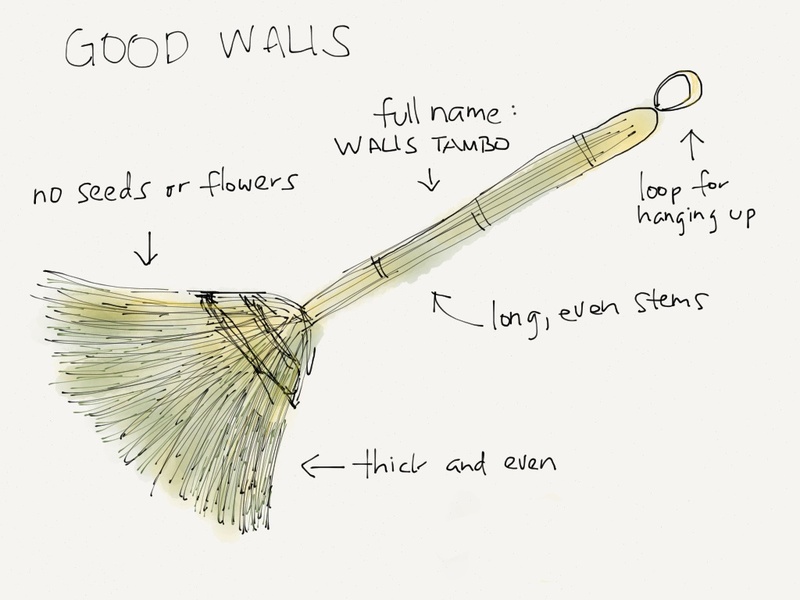 Those walis with the braided handles really are so beautiful. 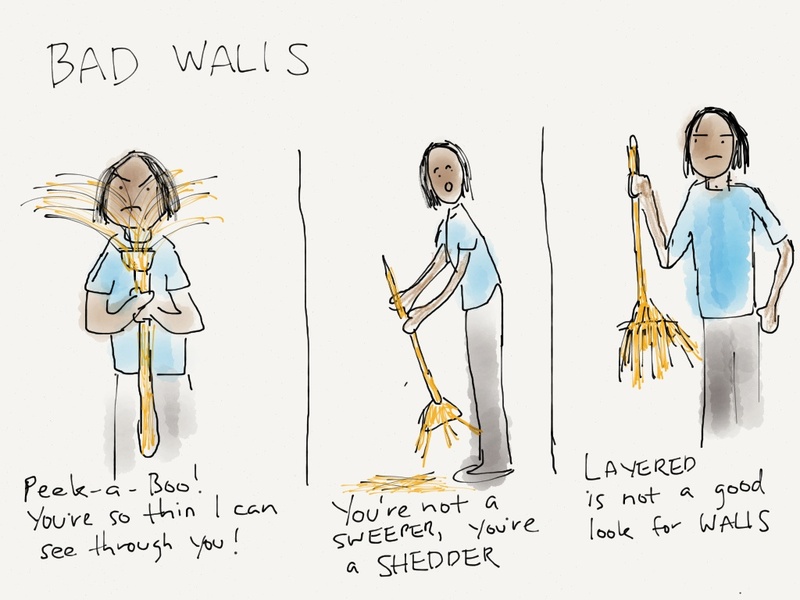 I watched a video on YouTube of a walis being assembled. It takes so many steps just for the plain one. Amazing how they can make the one with the fancy handle! 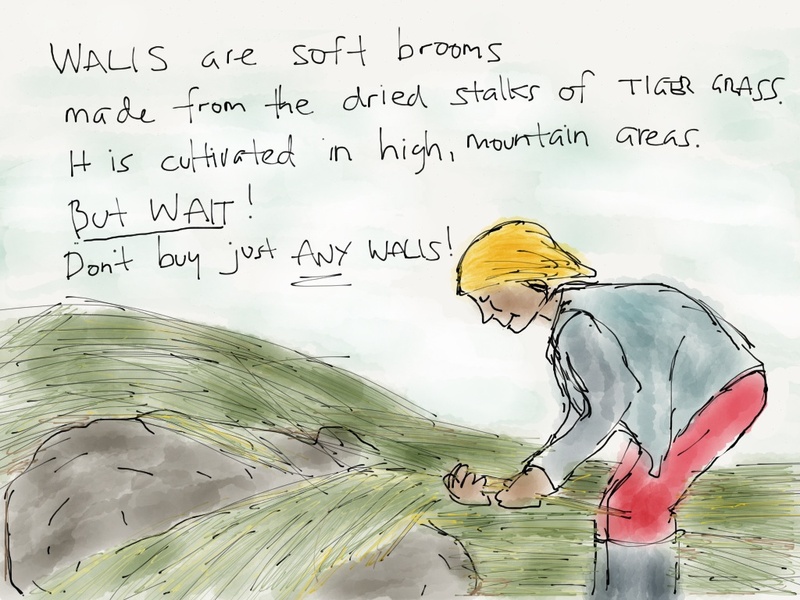 You mentioned a Filipino store selling Baguio walis…I have been trying to find them….where is this one located? Please tell me where I can find these brooms??? I have been looking everywhere with no luck…any web sites? Thanks Sylvia. I was hoping to have a plain straw handle…if you know of anymore, please email the site to me…Thanks so much! Next Next post: The Fast Diet Comics Version With Bonus Info Not Found in the Book!